Graz, September 17, 2015. International technology Group ANDRITZ will be presenting its latest nonwovens solutions at ITMA 2015 in Milan, Italy (November 12-19, hall H3, booth B122). With its worldwide leading companies ANDRITZ Asselin-Thibeau, ANDRITZ Küsters, and ANDRITZ Perfojet, ANDRITZ Nonwoven provides turnkey solutions for spunlace, needlepunch, wetlaid/wetlace, and finishing of nonwovens and textiles. ANDRITZ Nonwoven pools the expertise of all three companies in technology, R&D, manufacturing, service, and automation, thus fully benefitting its customers. The technologies offered complement each other in process solutions for a great variety of applications and contribute to optimized and efficient use of resources. 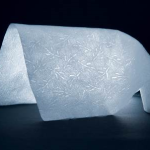 The wide experience of ANDRITZ Nonwoven has led to such innovative developments as neXecodry. 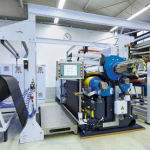 The new ANDRITZ technology allows nonwovens producers to achieve a significant reduction in energy consumption by their spunlace, WetlaceTM, and AirlaceTM lines and production of high quality nonwoven fabrics with regard to high bulk and no pattern degradation. 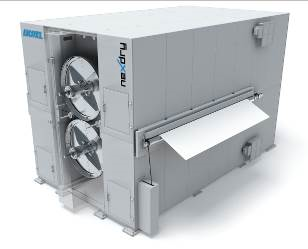 After several years of development and field tests, the new solution (available for the ANDRITZ neXdry and Perfodry through-air dryers) has been launched on the market, receiving immediate positive feedback from ANDRITZ customers. 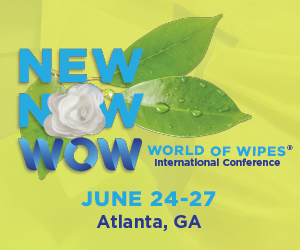 Wipes produced using the ANDRITZ WetlaceTM process exceed the EDANA/INDA flushability standards, which will be demonstrated with a flushability tester at the booth at ITMA 2015. The original ANDRITZ WetlaceTM process combines wetlaid and hydroentanglement technologies, proven for producing flushable wipes from 100% natural and/or renewable raw materials without chemical binders. In addition, ANDRITZ has developed a new process to apply detailed artwork to flushable wipes. This unique patterning and aperture process allows wipes producers to differentiate their products clearly with an almost unlimited number of possible patterns. 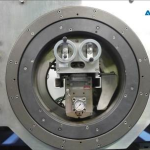 Its key components, the ANDRITZ Perfojet patterning unit and injector, will be displayed as exhibits at ITMA 2015. 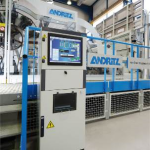 ANDRITZ focuses on system solutions in needlepunching by steering the complete production process. The new high-speed dynamic crosslapper D.630 from ANDRITZ Asselin-Thibeau enables an increase of needlepunch production line capacity. 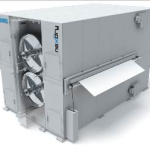 In combination with the ProDyn system, the D.630 is capable of reaching an infeed speed of up to 200 m/min. 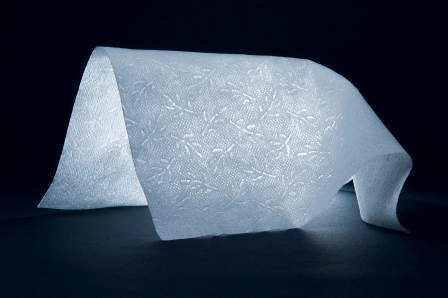 The IsoProDyn system helps to further improve the product quality for light fabrics. Thanks to the ANDRITZ Scada system, recipes can be reproduced quickly and operators receive the relevant production information in real time. It also provides a means of monitoring the production costs of every product reference, thus maximizing their yield contribution. 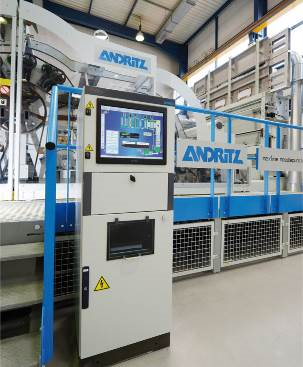 The advantages of the ANDRITZ Scada system will be shown during ITMA. The calender experts from ANDRITZ Küsters develop customized solutions for nonwovens and textiles. 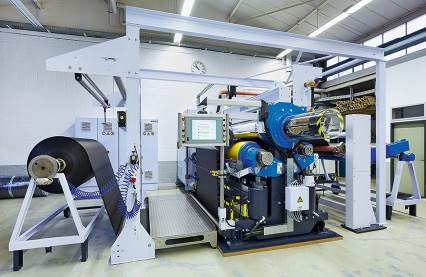 The teXcal trike 3-roll textile calender has been developed especially for the demands in modern technical textiles production. It is equipped with a heated steel roll and two individually adjustable system rolls in a triangular roll arrangement, thus allowing the fabric to be fed through the front nip, the rear nip, or both. Compared to the traditional 3-roll calender design with vertical roll configuration, the fabric loss at the seam passage is reduced to a minimum. On an annual production scale, this yields a substantial economic advantage. The optional teXmaster control system offers a broad spectrum of facilities for recording data, managing recipes, issuing alarm signals, conducting data analysis, and displaying trends. 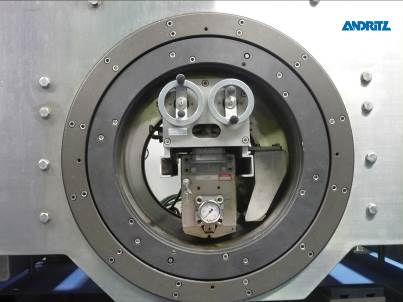 It also provides closed-loop operation for inline quality measurements on the product. At ITMA 2015, visitors will have the opportunity to discuss the latest ANDRITZ developments for the nonwovens and textile industries with experts from all three competence centers.